David W. O. Rogers, Ph.D.
Kenneth Ray Hogstrom, Ph.D., DABR, a Professor of Radiation Physics at The University of Texas M. D. Anderson Cancer Center, holds the P.H. and Fay Etta Robinson Distinguished Professorship in Cancer Research. Dr. Hogstrom is Director of Medical Physics Programs at The University of Texas Graduate School of Biomedical Sciences at Houston. Born in 1948 in Houston, Texas, Dr. Hogstrom received his M.S. in Physics from the University of Houston in 1972. Following a short period of active duty as an officer in the Army Field Artillery, Dr. Hogstrom was introduced to medical physics by Dr. Alfred Smith, with whom he worked on the neutron therapy project at M. D. Anderson Hospital and Tumor Institute (1973-4). He received his Ph.D. in Physics from Rice University in 1976, after which he rejoined Dr. Smith as a Research Scientist at the University of New Mexico, where he worked on the pion therapy project in Los Alamos. Dr. Hogstrom has published over 80 articles in peer-reviewed scientific journals. His research has successfully applied radiation transport to develop methods and techniques of dose measurement, dose calculation, treatment planning, treatment delivery, and quality assurance for electron, pion, and neutron beam therapy. Many today utilize the Hogstrom pencil-beam algorithm for electron treatment planning. Accolades include the AAPM Farrington Daniels Award for work in neutron and the Becton-Dickinson Career Achievement Award for work in electron dose calculations. Dr. Hogstrom’s contributions to education include short courses in therapeutic radiological physics and teaching and mentoring many graduate students and postdoctoral fellows. He has taught electron beam physics regularly in AAPM summer schools and review courses. He has written over 40 books, chapters, and reports, his contributions to AAPM Summer Schools being the most rewarding. For these and other contributions, he received the 1995 Faculty Achievement Award in Education at M. D. Anderson. 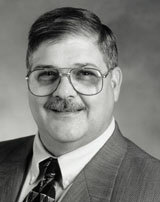 Dr. Hogstrom served as AAPM President in 2000, where he contributed to improving the association’s long range planning, improving relations with our allied health professional colleagues through actions as assisting in forming RSEA, and establishing the Summer Undergraduate Fellowship Program to address issues of manpower and student recruitment. While serving on the board of the ABMP, Dr. Hogstrom crafted a plan that resulted in the present ABR-ABMP Working Agreement. After serving as the vice-chair of the AAPM Commission on Accreditation, he led the first CAMPEP Residency Education Program Review Committee to develop guidelines for accreditation of medical physics residency programs. He is a Fellow of the AAPM and ACMP, where he continues to have opportunities to contribute to our medical physics profession by serving as chair of the AAPM Public Education Committee and co-chair of an ad-hoc committee on AAPM-ACMP Professional Medical Physics Issues. Stewart Bushong received his Sc.D. from University of Pittsburgh in 1967. Since 1976 he has been Professor and Chief of the Section of Radiologic Science in the Department of Radiology at Baylor College of Medicine in Houston, Texas. He has been active in the AAPM since he joined in 1962. He has been a regular presenter, served on eight standing committees chairing six of them. He has served on the Board of Directors. His Fellowships include AAPM, ACMP and ACR. His noteworthy contributions to the advancement of the profession of medical physics include helping to establish the Texas Medical Physics Society in 1986, formed for the express purpose of licensing medical physicists. This effort was successful and in 1991, Dr. Bushong was named by Governor Ann Richards to the inaugural nine member Texas Board of Licensure for Professional Medical Physicists. He was elected by that board to serve as its first chairperson. Dr. Bushong holds medical physics license number 0001. Dr. Bushong’s research accomplishments include 71 peer-reviewed scientific papers and 33 book chapters, covering the breadth of diagnostic imaging physics. His book, Magnetic Resonance Imaging is in its third edition. His textbook, Radiologic Science for Technologists first appeared in 1974 and is the textbook of choice for radiography training programs. The seventh edition of this book appeared last year and with its accompanying Workbook and Laboratory Manual has sold nearly 300,000 copies. Radhe Mohan received his Ph.D. in nuclear theory from Duke University in 1969. He was a post-doctoral fellow at Rutgers University before joining Memorial Sloan-Kettering Cancer Center in 1971 where he rose to the rank of Attending Physicist, tenured Member of MSKCC and Associate Chairman of the Department of Medical Physics. After leaving MSKCC in 1996 he joined the Medical College of Virginia as Professor and Director of Radiation Physics in the Department of Radiation Oncology. Since January 2002 Dr. Mohan has been the McGoldrick Professor and Chairman of the Department of Radiation Physics at the University of Texas MD Anderson Cancer Center. Dr. Mohan has made lasting contributions to the field of radiotherapy through his pioneering research and development work in many leading-edge areas of radiation physics and the translation of the results of his research into clinical practice. His most recent research activities include intensity-modulated radiotherapy, Monte Carlo techniques and image-guided radiotherapy. Dr. Mohan is the author or co-author of nearly 200 papers, book chapters and publications in proceedings of conferences. He has been the principal investigator, co-PI or co-investigator on numerous grants from the National Cancer Institute and research projects sponsored by industry. Dr. Mohan has been active in the educational and training programs for residents, post-doctoral fellows and graduate students. He regularly delivers refresher courses at ASTRO and AAPM and is frequently invited to teach at AAPM Summer Schools. He has served on several AAPM committees, subcommittees and task groups. Sal was employed by the AAPM in the fall of 1993 when the AAPM headquarters was still in New York. By the winter of 1993, Sal completed the move to the new headquarters site in College Park, Maryland. Sal’s work career includes 3 years as an auditor with the State of Rhode Island, 23 years as Director of Finance and Financial Planning with the American Mathematical Society, 8 years as Deputy Executive Director for the National Society of Professional Engineers and finally, 10 years as the Executive Director of the AAPM. Sal considers Providence, Rhode Island his “real” home, where he received all his formal education. Directly after graduating from La Salle Academy he served in the US Army for three years. Upon return from the military, he enrolled in Bryant College, majoring in Accounting and Finance. After graduation, he began his work career as described above. Several years after graduating from Bryant College he returned and completed courses to earn an MBA in Finance and Administration. Suresh Brahmavar earned his Ph.D. degree from Vanderbilt University in 1970 and completed training in medical physics and radiation safety at VU School of Medicine. He joined Wesson Memorial Hospital in 1970 to start the medical physics program which has evolved into a large support service to the Baystate Health System with three hospitals and six ambulatory care centers. He is currently Corporate Chief/Director of Medical Physics and RSO for the health system. He is Clinical Professor of Radiation Oncology at Tufts School of Medicine. Under his leadership two task group reports on Medical Lasers were published by AAPM and ACMP. He is currently Chair of AAPM General Medical Physics Committee and member of AAPM Capital Hill delegation on legislative issues in Washington, DC. Libby Brateman received her M.S. in Physics from Auburn U in 1972 and her Ph.D. in Medical Physics from U of Florida in 1983. She was a Fellow in NMR/MRI at UTHSC in Dallas. She began her career in general medical physics at Polyclinic Hospital in Harrisburg, PA, in 1972, where she was mentored by Jack Krohmer. Currently Associate Professor of Radiology and of Nuclear and Radiological Engineering at the U of Florida, she formerly directed the Medical Physics Graduate Program. She is the diagnostic physicist on the FL Council of Medical Physicists (for licensure). Dr. Brateman served as a Member-at-Large on the AAPM Board of Directors and has been a member of 3 AAPM chapters. Certified by the ABR in 1977 in Diagnostic Radiological Physics, she has been active in written and oral ABR examinations for medical physicists and radiologists. She is active in the ACR Mammography Accreditation Program. Sherry Connors received her M.Sc. degree from McGill University in 1981. She joined the Medical Physics Department at the Cross Cancer Institute (Edmonton, Alberta) in 1982, where she is currently a senior medical physicist and Associate Clinical Professor. She holds certification as a Fellow of the CCPM. She has taught Radiation Physics to over 70 student therapists and 30 radiation oncology residents during her 22 year career, and mentored several young physicists through a residency program. She has served nationally as Treasurer (1987) and later Chair (1994) of the Canadian Organization of Medical Physicists. Sherry has been a prominent member of the AAPM Summer School Subcommittee since 1991 and has led local arrangements on many Summer Schools in the past decade. Currently she sits on the AAPM Board as a Member at Large and on the Finance Committee. George David received his Medical Physics M.S. degree from the University of Missouri in 1980. He is certified in Diagnostic Radiology by the American Board of Radiology, has served on the Radiology faculty of the Medical College of Georgia since 1981, and was promoted to Associate Professor in 2000. Mr. David is professionally active both regionally and nationally. He has taught on the faculty of the AAPM Diagnostic Physics Review Course for over ten years and has just accepted the position of course director for 2003. In addition to serving in his seventh year as an officer of the SEAAPM, Mr. David is its webmaster. He has served on the faculty in local, regional, and national courses on the use of computers in radiology as an educational and documentation tool. Nick Detorie received his Ph.D. from the University of Notre Dame in 1975. After completing a 2 year Post Doctoral training in Med Physics at U of Wisconsin -Madison, he entered practice in Medical Physics at Memorial Med Ctr/ St. Johns Hospital/ SIU School of Med in Springfield, IL. After 6.5 years of service, 6 years as Director of Physics, he moved to Richland Hospital and the USC School of Med in Columbia, SC, where he served as Chief Physicist and Director from 1984-1997. Nick moved to Johns Hopkins in 1997 where he started a physics residency program in 2000. He is now Interim Director of Medical Physics at JHU. Nick has been active professionally and has been member and Chair of committees for AAPM, ACR, ACMP, ABR, and local chapters of the AAPM. He currently Chairs the ACR Physics Standards Committee. Aaron Fenster obtained his Ph.D. (1976) from the University of Toronto, under the supervision of Professor Harold Johns. He is the Director of the Imaging Research Laboratories of the Robarts Research Institute in London, Canada. This laboratory has about 170 individuals pursuing research in diagnostic radiological imaging, including CT, MRI, fMRI, ultrasound and x-ray imaging. Dr. Fenster is a professor in the Departments of Radiology, Biomedical Engineering, Medical Biophysics, Physics, Biomedical Engineering and Radiation Oncology of the University of Western Ontario. His present research interest is focused on the development of 3D ultrasound imaging systems for radiology and image-guided therapy. A number of the systems developed in Dr. Fenster's laboratory have been commercialized and are now being sold world-wide. He numerous awards including a Canada Research Chair (Tier 1) and is the founding scientist of 2 companies formed based on his research (Life Imaging Systems Inc. and Enhanced Vision Systems Inc.). Dr. Fenster has over 170 peer-reviewed publications and 21 patents. Ellen Grein received her Ph.D. degree in Medical Physics from the University of Alberta, Edmonton, Canada in 1984. She holds FCCPM certification (Canadian College of Physicists in Medicine). Since 1992 she is the Provincial Director for Medical Physics at the BC Cancer Agency which administers four Cancer Centres, as well as the Head of Medical Physics at the Vancouver Center. Dr. Grein is also Adjunct Professor in the Department of Physics at the University of British Columbia and has supervised and co-supervised 20 graduate students in Medical Physics and has trained 15 Clinical Physics Residents. She has published 45 papers in peer-reviewed journals. She serves as Associate Editor of Medical Physics since 1999 and is a member of the AAPM Committee on Education and Training of Medical Physicists and Task Group 1: Revision of Report 44: Academic Program Recommendations for Graduate Degrees in Medical Physics, and Task Group 69: Radiographic Film Dosimetry. John Hazle received his B.S. and M.S. degrees from the University of Kentucky in 1981 and 1983, respectively. He joined the Radiological Physics Center (RPC) at The University of Texas M. D. Anderson Cancer Center in 1983 and worked as a medical physicist there for 3 years. In 1989 he completed his Ph.D. at The University of Texas Graduate School of Biomedical Sciences in magnetic resonance imaging. He returned to the RPC, eventually rising to be Associate Director, before devoting his energies full-time to imaging physics and joining the Department of Diagnostic Radiology at M. D. Anderson in 1991. In 2001, he was named Chair ad interim of the new Department of Imaging Physics at MDACC. He is author of over 50 peer-reviewed publications, numerous invited articles and book chapters, and over 85 abstracts. He has served on a variety of committees for the AAPM, as President of the Southwest Chapter, and is currently an At-Large Board Member. Michael G. Herman earned a Ph.D. in experimental nuclear physics in 1986. In 1989, following a nuclear physics research fellowship, Dr. Herman joined the Radiation Oncology staff at Johns Hopkins. He served on the faculty and in the capacities of Acting Chief and Associate Director of Medical Physics. In 1998, Dr. Herman joined the Division of Radiation Oncology at Mayo Clinic Rochester. He is currently, Head of Physics, an assistant professor and a member of the graduate faculty. He is ABMP certified with an ABR letter of equivalence. Dr. Herman has served the AAPM as a member of Radiation Therapy Committee (vice chair), Professional Council, Science Council, TG58, Legs and Regs; ACMP as Chairman of the Board, Secretary, Membership chair; CAMPEP on the Residency Education Program Review Committee (secretary); ABMP as examiner, ABR as examiner and member of the Physics Committee. He is a fellow of the ACMP. Gary Luxton completed a Ph.D. in physics at Caltech in 1970, spent a year in industry developing scientific instruments for spacecraft such as Apollo and Viking, then four years on high energy physics experiments at SLAC, Argonne and Fermilab. He entered medical physics at Stanford in 1975, researching a novel beam design for negative pi-meson radiation therapy. He joined University of Southern California in 1979, becoming director of physics at USC/Norris Comprehensive Cancer Center in 1983. He was appointed Vice-Chairman of Radiation Oncology in 1988. He is currently Chief of Clinical Physics at Stanford University Department of Radiation Oncology. Dr. Luxton is an author on 75 peer-review publications, with research interests including radiobiological modeling in IMRT and QA of IMRT and robotic radiation delivery. He has served as president of AAPM Chapters in both Northern and Southern California. Mark Madsen received his B.S. in physics and applied science and technology from the University of Wisconsin at Parkside, an M.S. in Radiological Sciences, an M.S. in Physics and a Ph.D. in Radiological Sciences from the University of Wisconsin. He worked for 9 years as a nuclear medicine physicist at Thomas Jefferson University Hospital. Mark has worked at the University of Iowa since 1988 where he is an Associate Professor. He was certified in medical nuclear physics by the ABR. He has authored 50 papers. He has served 2 terms as the chair of the AAPM Nuclear Medicine Committee, 2 terms as the chair of the AAPM Special Interest Group Committee and on the AAPM board. Robert M. Nishikawa is an Associate Professor in Radiology at the University of Chicago. He received his Ph.D. in Medical Biophysics from the University of Toronto in 1990. His current research interests are in breast imaging, digital mammography, image quality assessment, and computer-aided diagnosis. He has published over 100 articles, several of which have won awards. He holds 6 patents. Dr. Nishikawa has served on a number of national committees including the AAPM Research Committee and the National Mammography Quality Assurance Advisory Committee of the FDA. He was won 16 awards including the Kurt Rossmann Award for Excellence in Teaching in the Graduate Programs in Medical Physics at the University of Chicago. Charles Pelizzari received his Ph.D. in Nuclear Engineering from the University of Michigan in 1974. After neutron spectroscopy research at Argonne, in 1982 he joined the University of Chicago in Radiology, and joined the faculty of the new Department of Radiation Oncology in 1986. With GTY Chen he developed portable software for merging CT and MRI with PET scans. This was one of the first widely used image registration programs, adapted by institutions worldwide for research and neurosurgery planning. With DN Levin and others, he developed an early interactive image-guided neurosurgery system. He is presently developing adaptive image guidance with functional imaging for combined radiation and gene therapy. He has co-authored nearly 50 peer-reviewed articles. Dr. Pelizzari teaches in Chicago's Graduate Program in Medical Physics and has served on thesis committees of numerous students at Chicago and elsewhere. He is presently Associate Professor and Director of Medical Physics. Terence Peters received his Ph.D. in Electrical Engineering from the University of Canterbury, New Zealand in 1973, where his research topic was “Image Reconstruction from Projections”, and also developed the first clinical CT scanner used in NZ. In 1978, Dr. Peters moved Canada, spending 19 years at the Montreal Neurological Institute and McGill before moving to the Imaging Research Laboratories at the Robarts Research Institute in London Ontario in 1997, where he continues his work in Image-guided Surgery. He is a Professor of Radiology and Medical Biophysics, and Adjunct Professor of Electrical Engineering and Computer Science at the University of Western Ontario. Dr Peters is the author of over 130 papers and book chapters on medical imaging. He is a Senior Member of the Institute of Electrical and Electronics Engineers, and a Fellow of the Canadian College of Physicists in Medicine; the Australasian College of Physical Scientists and Engineers in Medicine; and the Institute of Physics. Chester Reft received his B.S. in physics in 1966 from Carnegie-Mellon University. He received his Ph.D.. in physics in 1973 from the University of Pittsburgh. After teaching in the physics department at Old Dominion University, he went on to the University of Chicago on a postdoctoral training program in medical physics. After working as a clinical radiation therapy physicist, he joined the Department of Radiation Oncology at the University of Chicago where he is currently an assistant professor. He has served in a number of positions in the AAPM. He is board certified by the ABR in therapeutic physics. He has published over 25 papers in peer-reviewed journals. Tim Schultheiss received his Ph.D. in Physics from Brown University in 1979. In that year, he joined the faculty of Eastern Virginia Medical School in Norfolk. He subsequently joined the faculty of the University of Texas M.D. Anderson Cancer Center, and in 1991, he was appointed Director of Physics at Fox Chase Cancer Center and Professor of Radiation Oncology for Fox Chase Cancer Center at the University of Pennsylvania. In 2001, he became Director of the Department of Radiation Physics at the City of Hope Medical Center and Professor of Radiation Oncology at the Beckman Research Institute. Dr. Schultheiss is a Fellow in Physics of the American College of Radiology. He has been active professionally in the AAPM and ACR, serving on and chairing numerous committees. Dr. Schultheiss has published over 100 papers in peer-reviewed journals. Ralph E. Shuping, D.Sc. Ralph was awarded a D.Sc. by the Harvard School of Public Health, in 1978. He served 30 years in the Public Health Service, retired in 1991 and is now employed by the CDRH/FDA. His has been with federal health related agencies except for a stint with a radiation therapy firm as regulatory affairs manager and RSO. He authored 8 referred papers and 4 DHHS reports. Since 1983 he has served on the AAPM Diagnostic X-Ray and NMR Committees and several Task Groups. He has been active in the MAC-AAPM as President (twice), Sec-Treasurer, Newsletter Editor and Co-Chair of the 1993 AAPM Annual Meeting and 1997 Summer School LACs. Marc Sontag received his Ph.D. in 1979 from the University of Toronto (Princess Magaret Hospital). His thesis on photon beam heterogeneity correction methods are widely in use today. He has 52 peer-reviewed publications, with current research interests in pediatric conformal radiotherapy and respiratory gated radiotherapy. He has been on the faculty at Thomas Jefferson, University of Pennsylvania, Duke University and University of Tennessee. He is currently Vice Chairman and Director of Physics at St. Jude Children’s Research Hospital. Robert Zamenhof received a B.Sc. in 1969 from the Polytechnic of North London, an M.Sc. in 1971 from University of Strathclyde, and Ph.D. in 1977 from MIT. In 1977-1978 he did a Fellowship in Radiological Physics at Harvard Medical School. In 1978, he joined the New England Medical Center's Department of Radiation Oncology, becoming Professor in 1989. Dr. Zamenhof became Visiting Scientist at MIT in 1994. He became Director of Radiological Physics at Beth Israel Deaconess Medical Center in 1996. He has 110 publications with research interests mainly in boron neutron capture therapy. He has been a member of 20 institutional, national, and international committees, Diplomate of the American Board of Radiology (1985), oral examiner for this Board and Panel Chair for the American Board of Medical Physics. He was Associate Editor of Medical Physics 1997-1999. He is a member of the AAPM Board of Chancellors and the President of the International Society of Neutron Capture Therapy. for their paper entitled "Sensitivity of megavoltage photon beam Monte Carlo simulations to electron beam and other parameters," Medical Physics 29 (3) 2002, pp. 379 - 390.
for their paper entitled, “Development of contrast digital mammography,” Medical Physics 29 (10) 2002, pp. 2419 - 2426.